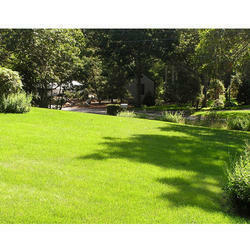 In order to retain remarkable position in this industry, we are providing a wide array of Landscape Gardening Services. We are engaged in providing a wide range of Terrace Garden to our clients. Our Comprehensive Grounds Maintenance division knows the importance and the value of your landscape. Every service needed is available and performed by trained professionals on a carefully managed schedule to assure to assure optimum results. From month to month and season to season, your investment is managed by experts capable of identifying and reacting to any need immediately. Horticulture is another vertical of ehfl, which adds greenery, in turn more oxygen & green environments to the surroundings. We have the set of people working exclusively for horticulture. - GVL is delivering rental plants fitted to your working space. Every firm, small or large, has the possibility to rent plants. Doing so, you don't have to worry about the maintenance of the rental plants. Our service is all-in. Green Corner India Pvt Ltd.